Of late, there seems to be no seeing back when you talk about movies in M Town. The film Muramba with its decent review has been waving high at the box office for sure. We hear a lot about the M Town audience going a good buzz for this film and particularly the youngsters have been attracted the most who came in good numbers to watch this film in very good numbers. The fact is the audience seems to have loved this recent release of Marathi movie Muramba a lot. The critics have though given the mixed reviews to this film so far but some way or the other the film has managed to score good buzz amidst the M Town audience. All thanks to its cool climax and smarter screenplay that has come in a very decent way along with being written the smoothest fashion by all the writers of the movie. So as per reports, the film so far has collected a decent amount of 7 crores, which is really a decent figure. 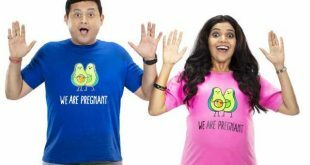 As far as the film is concerned, the movie is produced by Ranjit Gugle along with Anish Joag, Nitin Vaidya and Ninad Vaidya while it is directed by Varun Narvekar. This film has been produced under the popular banner of Dashami Studioz. 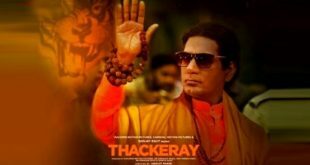 So, with the passing days, we can see the buzz for the regional movies particularly the Marathi movie is getting back to the track. So, what do you have to say about this film and others, do let us know about it by commenting.